The QuWave Divine™ is the answer! Meditation with the 'Divine' can be the answer !!! Want to learn more about your Chakras? Open Your Third Eye? 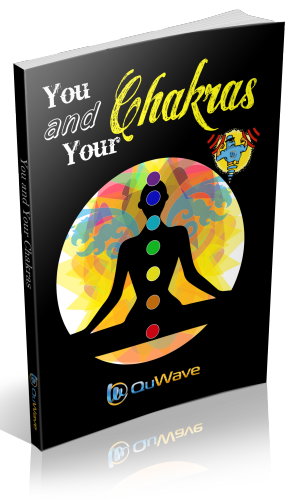 Check out 'You and Your Chakras', the official eBook of the QuWave Divine. The free eBook contains an explanation of the chakras and the human energy system, various meditation techniques, and more inside. Billions of electrical activities are taking place in our brain at the same time. The electrical activity generated by the brain can be measured, and different 'brain states' have been assigned to different brainwave frequencies. Most people live in what's called a Beta state most of the time. This state of mind includes Alertness, Concentration and cognition. To tap into your unlimited, creative, divine, and supernatural power, it is necessary to bring down your brain waves to Alpha, Theta and Delta states. The lower your brain’s frequency is, the deeper level of meditation you experience. In such a brain-state, our right and left hemispheres integrate with each other to perform a specific goal. This is also known as ‘Whole Brain State’. 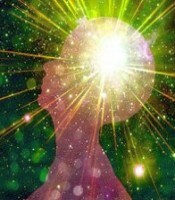 With the help of the QuWave Divine we can get into this deeper state of our brain much easier. The 'Whole Brain State' can be achieved and the pineal gland can be activated in your brain to perform miracles in everyday life. Scalar Waves produce a secondary field by motion of subatomic particles interacting with Human Aura. These waves can travel far faster than the speed of light and encode the information of space and time into a timeless, space-less quantum shorthand of interference patterns. 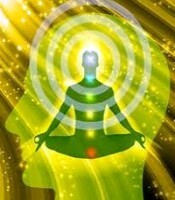 They can directly interact with your brain energy producing amazing beneficial results. 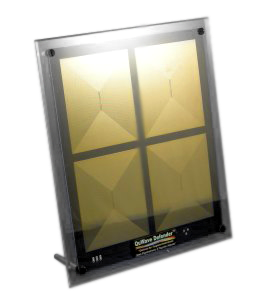 QuWave Products generate these Scalar Waves combined with Solfeggio Frequencies to stimulate your brain and to produce specific results. Solfeggio frequencies are a set of musical tones that were used centuries ago in Gregorian and Sanskrit chants. These chants contained special tones which were believed to impart spiritual blessings during religious ceremonies and used for healing purposes. The precise tuning, the technique and the knowledge about their healing properties were somehow lost over the ages. It was Dr. Joseph Puleo who rediscovered the Solfeggio sounds in the 1970s by finding the frequencies of these unique healing sounds. The interesting thing is that he found these frequencies encoded in the Bible, in the book of Numbers, chapter 7, verses 12-89. 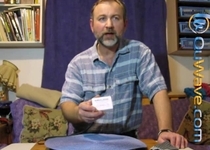 He used numerical analysis to unravel the mysterious patterns encoded within these sounds. Each frequency has special mental, physical, emotional and spiritual healing property. Recent studies show that these frequencies are part of a process that can assist you in manifesting a life of your dream without stress, illness, and sickness. It is also discovered that the Solfeggio frequencies are more powerful than any other sound frequencies. So far, the only way to experience the benefits of Solfeggio Frequencies was through sound waves - you would need to listen to these musical tones constantly. This was very limiting because the exposure time was low and required your devoted concentration. Through extensive research and by applying our proprietary engineering technology, we have discovered how to deliver these stimulating frequency waves directly into the brain receptors continuously. We have combined our Scalar Wave Technology with Solfeggio Frequencies and developed a small hand-held device which constantly beams the Solfeggio Frequencies (as well as other stimulating frequencies) directly into your brain at deep cellular level via your Scalar Bio-Field. We generate a high frequency Scalar Wave and modulate it with multiple lower frequency brain stimulating signals. This Scalar Wave is at a very high frequency and is able to directly penetrate into the human nervous system. This maximizes delivery of the lower Solfeggio Frequencies directly into the brain and allows continuous subliminal stimulation day and night, anywhere. Thus the benefits of these frequencies are multiplied by hundreds of times over just listening to musical tones for a short period of time. There are many miracles within us, but they do not manifest, they are hidden behind locked doors. 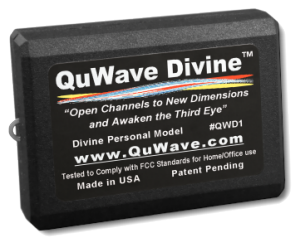 With the QuWave Divine, you can unlock and open the doors to these other Dimensions. Dimensions beyond the time and space continuum. The special Solfeggio Frequencies delivered by our products, can align you with the rhythms and tones that form the basis of the Universe. By exposing your mind and body to the Solfeggio Scalar Bio-Field produced by the QuWave Divine, you can re-establish the connection of the pineal gland (Third eye) and the pituitary body (Crown Chakra), with your Brain's conscious system. In the far past, when man was in touch with the inner worlds, these organs were his means of connecting with the spiritual universe. When that connection is accomplished with the QuWave Divine, you will again possess the faculty of perception into higher consciousness levels. QuWave Divine generates a Solfeggio Frequency Bio-Field which when exposed to an individual can deeply penetrate at the cellular level into the brain and resonate with natural frequencies of the Pineal Glad. Thus, it begins to vibrate at its natural frequency so it is detoxified, uncalcified and activated and subsequently its connection is established with Central Nervous System. In other words, the divine energy inside us is awakened and it is connected with our five senses and we are enabled to look beyond our eyes, hear beyond our ears, communicate beyond spoken words, and feel beyond sensory perception. All things in this world have their own natural frequency which they are most comfortable with. When something is subjected to an external force, that object wants to resonate at its specific frequency - the frequency that is natural to the object. This phenomenon manifests throughout the universe. This natural frequency of a body is known as its "Resonant" frequency, and the phenomenon is known as "Resonance". The Frequencies of QuWave Divine resonate with Pineal Gland and the Pituitary Gland. Together, these will increase your 6th and 7th chakras, and open your Third Eye. Through simple meditation enhanced with the QuWave Divine, you can now open your Third Eye and access your subconscious energy that unites us with Universal Energy and reach Cosmic Consciousness. The Pituitary Gland is the Sixth Chakra located behind the center of our forehead, between our eyes. Therefore, the sixth chakra is often called the Brow Chakra. The pituitary gland is known as the master gland because it acts as a main control center that sends messages to all the other glands and organs and regulates sexual development. The pituitary gland is called the “seat of the mind” with the frontal lobe regulating emotional thoughts such as poetry and music, and the anterior lobe regulating concrete thought and intellectual concepts. This sixth chakra rules our intuition and imagination and is associated with the parts of our consciousness concerned with a spiritual view of life. This chakra is sometimes known as the Home of Spirit, as it has the ability to inform us of the motivation behind actions. Inner vision is also ruled by this chakra. Through meditation we can gain great inspiration and the vision of our purpose and destiny. This chakra rules the expansion of our third dimensional consciousness to encompass our conscious perception of the fourth dimension. This conscious perception of the fourth dimension means that we remember our inner travels, whether they are through sleep or meditation. It also means that we learn how to integrate the inspiration, illumination and knowledge we have gained into our everyday physical lives. When this chakra is clear there are enhanced intellectual and psychic abilities. Our memory is good and our perceptions are accurate. Through our ability to consciously travel into the higher dimensions of our inner reality, our ability to visualize is amplified, our imagination is expanded and we are able to project our visions and imaginations into our outer world. The 6th chakra is known as the brow chakra or third eye center. It is related to the act of seeing, both physically and intuitively. 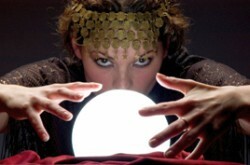 It opens our psychic faculties and our understanding of archetypal levels. When healthy it allows us to see clearly…seeing the big picture. The Pineal Gland is the Seventh Chakra located at the top or crown of the head and thus called the Crown Chakra. The pineal gland is cone shaped and is located in the middle of the brain behind and just above the pituitary gland. The Pineal Gland is known as the “seat of illumination, intuition and cosmic consciousness”. It is the site of your Third Eye which is located between your two physical eyes. The metaphysical qualities of the Seventh Chakra include links with the Higher Self, ability to access the Book of Life, and Spirituality. It is the gateway to self-knowledge. The goals of the Seventh Chakra include wisdom, knowledge, consciousness, and spiritual connection. The Seventh Chakra deciphers and decodes the mysteries of life. It links us with the Universe. Most people have calcified Pineal Glands due to deficient and degenerate diets, so it must be awakened through meditation now made so much easier with the QuWave Divine. Through meditation with he QuWave divine we can open our awareness to encompass the fourth dimension up to the threshold of the fifth dimension. Once this chakra is opened, our higher senses are activated and our perceptions of life expand. 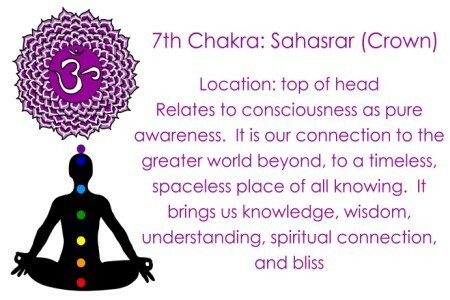 The 7th crown chakra relates to consciousness as pure awareness. It is our connection to the greater world beyond, to a timeless, spaceless place of all-knowing. When developed, this chakra brings us knowledge, wisdom, understanding, spiritual connection, and bliss. The pineal and pituitary glands work together in a yin-yang harmony. The pineal gland is to the pituitary gland what intuition is to reason. According to meditation and yoga masters, the Pituitary Gland of the Sixth Chakra and the Pineal Gland of the Seventh Chakra must join their essence in order to open the Third Eye. The Solfeggio frequencies of the QuWave Divine work on both which is why you are able to achieve this harmony so much easier without having to do years of meditation. When the pituitary and pineal glands are fully developed and stimulated through meditation upon the sixth and seventh chakras, their vibrations fuse and activate the Third Eye. 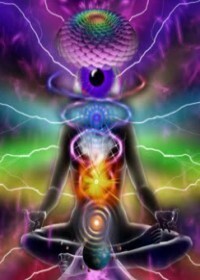 Once the Third Eye is open we have personal access to higher knowledge. The opened Third Eye is called the “Eye of the Soul”. It is said that the joining of the essences of these two glands in the third ventricle is what opens the Third Eye. Shiva yoga is a form of yoga practice which concentrates on awakening the pineal gland. This gland is often dormant because our third dimensional self is usually focused on the outer sensate world rather than the higher spheres. The pituitary gland holds the positive, masculine charge and the pineal holds a negative, feminine charge. When the masculine and feminine energies meet in the brain it is known as the Mystical Marriage. The Mystical Marriage initiates the birth of our multidimensional consciousness and our conscious passage into the fifth dimension and beyond. The feminine earth energy merges with the masculine pituitary gland and the feminine pineal gland receives the masculine non-nmanifest energy from Spirit. When the two awakened chakra essences meet in the third ventricle, there is the union and harmony of spirit into matter as the multidimensional forces of spiritual light merge with the matter of our third dimensional brain. The Third Eye is an etheric, or fourth dimensional, eye. It acts as a sensitive receiver, and transmitter, by which vibrations of many different types can be translated, interpreted and dispersed into our third dimensional brains to gain wisdom and illumination. Through this EYE, inner planes, thought forms, and higher entities are perceived. All eyes need a lens to give meaning to a perceived light sensation, including the Third Eye. 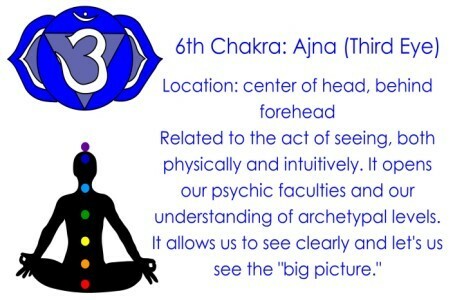 The Third Eye’s lens is located in our aura, just in front of our sixth chakra. The psychic construction of this lens is part of the discipline that leads to the accurate perception with our inner eye. By using this point in our aura (between our eyes and in the center of our forehead) as a focal point during meditation, we can facilitate the development of our Third Eye’s lens. Using this form of meditation also facilitates theta wave consciousness. To view the answers, click on a question, or to see all answers, click on "Show All Answers". What is the difference between QuWave Divine and other QuWave products? 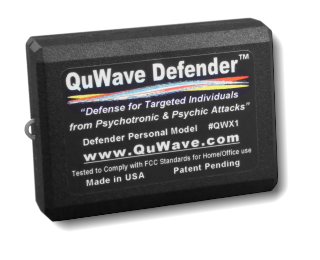 QuWave products, generate Scalar Waves combined with (modulated) Solfeggio frequencies. Different products have different frequencies to achieve specific results. The Divine uses 936Hz and 852Hz frequencies. These specific frequencies generate Solfeggio Frequencies which directly stimulate the Pineal Gland and give you access to Spiritual Light. Our other products use different frequencies to produce other desired results by stimulating other energy centers of the body. Should I keep it on when I sleep or I should switch it off? QuWave products don't require any effort from your side. The waves influence your whole being at subconscious level that means below conscious awareness which is also the state of your brain while you are asleep. So we would recommend you keep it on 24 hours a day and seven days a week. Are there any side effect of using QuWave Products? So far, we haven’t received reports of any side effects caused by QuWave products. Solfeggio Frequencies are considered spiritual frequencies while Scalar Waves are fastest of everything in this Universe. When these waves are exposed on any living or non living object, they remove materialistic negative energy and make it more positive and energized. Can one misuse the spiritual power which users attain with the QuWave Divine? No. The universe operates within perfect laws. One law is “What you give, you get”. So even if someone intends to harm another, he will have put himself in negative vibration first. And eventually that vibration would affect him/her negatively. One of the most important qualities of QuWave Divine is that it brings you into your "Whole Brain State" which is the state of peace, tranquility and calmness. Is it necessary to modify diet somehow when using QuWave? No. It is not necessary to modify your diet in any way when using QuWave products as the products work directly on the frequencies in your brain. What are specific indications of QuWave Divine? QuWave Divine facilitates you in achieving your goal of "enlightenment" as a human being. The benefits which are part of "enlightenment" are awakening intuition, remote vision, remote hearing, astrological prediction, communication with Universal Intelligence, becoming proactive, keeping peace of mind, alignment of chakras and experience your image as the likeness of God. I am experiencing more yawns after using QuWave Divine. 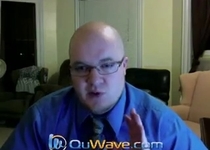 This is the indication that QuWave Divine is working for you. More than normal yawns in Energy Psychology/Energy medicine are the symbol that negative energies are leaving your mind and body. Your depression or anxiety might increase initially for a time being and you might need to give your mind and body sometimes to adapt with new frequencies. However, there is nothing to worry about it. All is well with QuWave Divine. 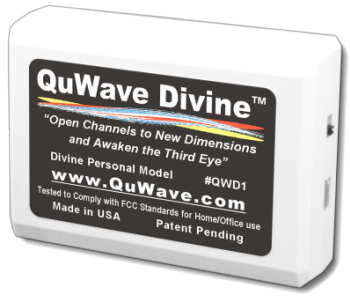 Should I stop using QuWave Divine once I am enabled to view or hear remotely, feel complete sense of balance, increase focus and creativity? 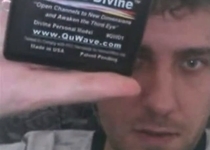 We highly recommend you to continue use of the Quwave Divine. You will experience progressive and more significant improvement with continuous usage of the Divine. What is the proof of these benefits? Please read testimonials or try it for yourself. All QuWave products come with a 30 day satisfaction guarantee, so if you find no benefits, we willl refund your full purchase price. We have two bodies. One is visible and other is invisible which constitutes chakras, meridians and aura. The invisible body contains information in its electromagnetic field that is responsible for driving our biology. Any physical, mental or spiritual disease is nothing but manifestation of imbalance in energetic fields. This is where the root cause of any suffering is found. Any alternate healing that deals with imbalance in the human energy field is known as Energy Medicine. Isn’t it a foolish concept that waves which have no form or shape impact our mind and body? Quantum Physicists have recently proved that everything is energy. To view more questions, click here to visit our F.A.Q. page. The most commonly reported result of QuWave Divine is increased creativity, sense of One-ness with the whole world, devoid of negative emotions, feeling of tranquility and peace and clearer mind. Others report they see angels, can do deep meditations and can hear distant voices, not just as hallucination but in truth after long analysis. Some even claim that they have transcended the 2 Dimensional world and moved in timelessness and spacelessness where there see, hear, taste, touch and speak only divinity. Several experiments have been made with EEG (Electroencephalogram) and MEG (Magnetoencephalogram). Results found that after exposure to QuWave Divine, a person’s EEG read lower frequencies below 7 cycles/second which psychologists term as alpha, theta and delta state or ‘Whole Brain State’. These are states of brain which are attained with deep meditation. Please be assured we are not just making claims to open up spiritual gates. These are simply personal experience reports we have received from our customers. 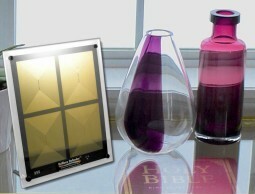 The only way you can know what kind of healing experiences you will have with the QuWave Divine is to try it yourself. And, you have nothing to loose with our 100% money back guarantee. Please do not put unrealistic expectations on the QuWave Divine. It can be a catalyst for miracles! And it is. I am a 65 year old man and had a fear of death because I am near to it. I was terribly frightened by punishment of hell. Since I have adapted QuWave Divine, I am proud to be an old man. Every day I live my life full of vitality and enthusiasm. And I am curious to contribute significantly. I wish I had QuWave Divine 30 years ago. Bundled Personal and Tabletop Models. Get maximum stimulation in your home & anywhere you go. Choose any three: Harmonizer, Defender, Divine, Relaxer, Law of Attraction Magnet, Amore, Dreamer. Note: Since this is a custom made product, there will be a 15% restocking fee if the product is returned!! !